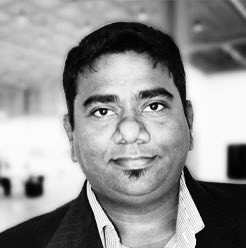 Congratulations to Prof Sudesh Sivarasu for his recent election as member of the Global Young Academy (GYA) from May 2019 for a term of 5 years. The GYA provides a platform for outstanding young scientists from around the world to come together to address topics of global importance. Sudesh is the only one of 46 new members of the GYA from South Africa and joins 5 current members and 6 alumni from South Africa. From the acceptance of the GYA: "We received an extraordinary number of outstanding applications this year, and your distinguished qualifications and commitment to service to society, rose to the top of this very competitive pool. ... Congratulations again on both your outstanding track record as a successful scientist and your commitment to applying science for the benefit of society."